As President, my primary objective is to assemble a team of professionals who have knowledge, experience and a true service orientation. Each staff member plays a key role in delivering an outstanding client experience. I love what we do. Our greatest accomplishment is helping our clients live a life with confidence and clarity regarding their financial situation. Over 35 years in the Financial Services Industry. Over 30 years providing fee-only Financial Planning and Investment Management for executives, professionals, and entrepreneurs. 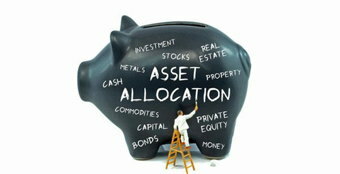 Wealth Management Services include fee-only comprehensive financial plan preparation and active investment management. Bedel Financial Consulting, Inc., President and Owner. Wealth management firm providing fee-only financial planning and investment management services for individuals and investment advisory for institutions and endowments. Coopers & Lybrand, Director of Personal Financial Planning. Managed, marketed and provided a fee-only financial planning service for individuals. Indiana National Bank, Vice President and Trust Officer. Developed the financial planning service and managed the department which included the personal financial planning service, retirement service, business valuation and closely-held company analysis. CERTIFIED FINANCIAL PLANNER™ designation, College for Financial Planning. Master of Business Administration, Finance Emphasis, Butler University. Bachelor of Liberal Arts, Mathematics Major, Hanover College. Past Member of Board of Directors of Schmidt & Associates. Appointed Director of the Department of Metropolitan Development for the City of Indianapolis by Mayor Stephen Goldsmith. Served in that capacity from August 1, 1994, through December 31, 1995. Appointed to the Marion County Convention and Recreation Facilities Authority by Mayor Stephen Goldsmith. Approved all financing arrangements for convention and recreation facilities. Served 1993-1994. May Wright Sewall Leadership Award, The Propylaeum Historic Foundation, Inc., 2015. Named Distinguished Wealth Manager™ and Distinguished Executive™. Expert Network, 2015. Named Woman Business Owner of the Year. National Association of Women Business Owners (NAWBO), 2015. Named to Financial Times' "FT 300" list as one of the "Top 300 Registered Investment Advisers" for 2014, 2016 and 2018. Financial Planning Association, 2013 Heart of Financial Planning Award. 2013 Inductee to Junior Achievement Central Indiana Business Hall of Fame. 2011 Indiana Commission for Women Torchbearer Award recipient, presented by Governor Mitchell Daniels. 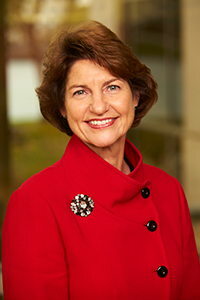 Named on the list of Influential Women in Indianapolis as published in the Indianapolis Business Journal, November 2009 and June 1998. Recognized in Wealth Manager ranking of “50 Distinguished Women in Wealth Management”, published by Wealth Manager, May 2008. Recognized as a “Mover and Shaker” in the financial planning profession by Financial Planning Magazine, January 2003. Recognized as one of three Women in the Lead finalists presented by Network of Women in Business and the Indianapolis Business Journal, June 2002. Alumni Achievement Award in the field of Finance, Hanover College, May 1999. Named Business Woman of the Year for 1994 by the Network of Women in Business. Listed in the Business segment of Great Expectations – Men and Women Under 40 Building a Better Indianapolis, Indianapolis Magazine, April 1985. Named among the “Top Women-Owned RIAs”, Wealthmanagement.com, 2016. Also included on list in 2012, 2013, 2014 and 2015. Recognized as “2012 Five Star Wealth Manager” by Indianapolis Monthly, October 2012. Featured as one of the “150 Best Financial Advisors for Doctors”, Medical Economics, November 2012. Also included on list in 1998, 2000, 2002, 2004, 2006, 2008, 2009, 2010 and 2011. Named “2008 FIVE STAR Best In Client Satisfaction Wealth Manager” in Indianapolis Monthly, October 2008. Recognized in Wealth Manager Ranking of America’s Top Wealth Managers, published by Wealth Manager, July/August 2006 and 2007. Recognized as one of The Nation’s Most Exclusive 100 Wealth Advisors, by Worth Robb Report, January 2004. Consistently named to the National Top Financial Advisors list published by Worth Magazine, 1994 to 2004. Featured as one of the 100 Great Financial Planners from Coast to Coast, published by Mutual Funds Magazine, October 2001/September 2002. Named on the list of Bloomberg’s Top Wealth Managers, Bloomberg Wealth Manager, July/August 2002, 2003, 2004 & 2005. Chairperson 2011 and 2012, Foundation for Financial Planning, national board member since 2004. Chairperson 2002, CFP Board of Standards, national board member 1998-2003. Delegate, 2002 National Summit for Retirement Savings, Washington DC. Chairperson 1998 and 1999, Board of Practice Standards, sub-board of CFP Board, national board member 1994-1999.
International Association for Financial Planning, national board member 1987-1991, and Past President for the Indiana Chapter. Editor, Midwest Financial Planner, 1986-1987. Member NAPFA (National Association of Personal Financial Advisors) and FPA (Financial Planning Association). 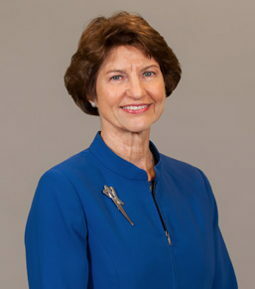 Chairperson 2006, Financial Planning Standards Board, international board member 2003–2006. U.S. Voting Delegate 2001-2002, International CFP Council. Member of US Technical Advisory Group for ISO/TC 222 (International Standard for Financial Planning) and Delegate to International Standard Organization meeting in Atlanta, GA, February 2001 and Tokyo, Japan, April 2002. Weekly guest on Your Money on Channel 13, WTHR. Occasional guest on Inside Indiana Business, a weekly television program, and other local television and radio programs. Weekly guest on “Financial Advice Thursdays” on Oldies 101.9 WKLU, 2009. FYI Money Advice presented bi-weekly on Channel 20 Nightly Business News, 1992-1994. Special guest on Financial Advisor program, Lifecycle Planning, 1990. Author of Personal Finance Book published April 2009, Advice You Never Asked For…But wished you had! Weekly column on financial planning for Inside Indiana Business in The Inside Edge, April 2003-Present. Instructor for nationally viewed webinar, “What Do You Need For Retirement?”, produced by NAPFA, March 2011. Articles published in the Indianapolis Woman magazine, Indianapolis Business Journal, Indianapolis Star, and Indianapolis Monthly magazine. Contributor to Finance Section of AARP website. Frequently interviewed for articles in national and local publications, including New York Times, Los Angeles Times, USA Today, Washington Post, Investment News, Financial Planning Magazine, Forbes, Investment Advisor Magazine, Consumer Reports Magazine, Redbook, AARP, and numerous internet publications. Frequent speaker for local, national and international organizations such as: Financial Planning Standards Board Korea, Financial Planning Standards Board India, Financial Planning Standards Council of China, Institute of Financial Planners of Hong Kong, Financial Planning Association of Malaysia, Dow AgroSciences Women seminars, Community Hospital Financial Workshops, Florida Money Show, Boston Globe Money Show and State Farm Insurance national headquarters and broadcast to over 300 sites nationwide. Contributor to Tips from the Top, published in 2002. Hanover College, Secretary and member of Board of Trustees. Women’s Fund of Central Indiana, Chair, 2014-2015; member of Advisory Board since 2006. John H. Weidner Foundation, member of International Board of Trustees. Goodwill Industries Foundation, Chairperson, member of Board of Directors and member of Finance Committee, past treasurer. Butler University, member of Business School Board of Visitors. WFYI Foundation, past member of Board of Trustees, 2009-2014. President 2006-2007, Rotary Club of Indianapolis, Board of Directors. Rotary Foundation of Indianapolis, Inc., past Board of Trustees. Indiana University School of Nursing, past member of Board of Advisors. Past Chairperson 2002-2004, Community Hospitals Foundation, Board of Directors. Eagle Creek Park Foundation, past member of Board of Directors. Honorary Chairperson, 2002, Red Cross Celebration House. World Gymnastics Championships, 1991, Local Organizing Committee, Protocol Chairperson. Hanover College Alumni Association, past president. Network of Women in Business, past president. Alumnae of Stanley K. Lacy Leadership Series. Serve on boards and committees of various non-profit organizations. Most of you have heard by now, but for those of you who haven’t... On January 5, 2017, Governor Eric Holcomb appointed me to the position of President of the Indiana Economic Development Corporation (IEDC). 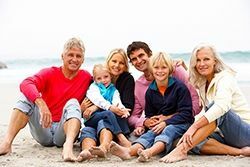 Parents, who choose to treat their children differently regarding future responsibilities or asset split, need to share their logic with their children before it becomes reality. Should You Ever Lend Money to Family? 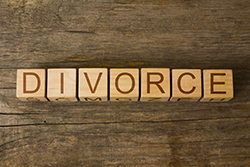 Divorce is a traumatic experience and financial aspects can add to the stress. 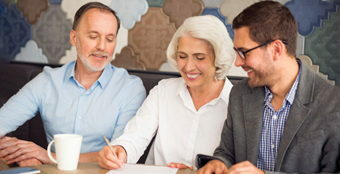 Decisions are hard to make if you don’t have a clear and complete understanding of the family’s current financial situation and what your future may look like. Life insurance is a necessity for most people at some time in their lives. Age, health, and the desired death benefit determine a policy’s premium. What does this mean if you are over age 50? Your investment portfolio must reflect what your money needs to do for you. If it doesn’t, you may be taking too much risk with your investments or, on the other hand, you may be missing out on important growth. 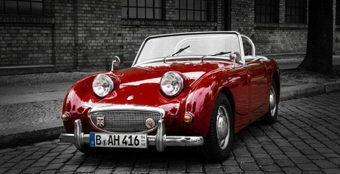 If you own a classic or antique automobile, are you properly insured? 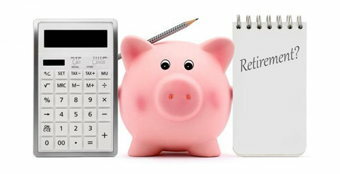 Retirement Calculators: Accurate or Not? A recent study puts into question the outcomes of retirement calculators. “Misleading”, “over-optimistic”, and “little help to consumers” are conclusions reached by researchers for the majority of online calculators tested. Who will Raise Your Child? There is nothing better than celebrating the birth of a new baby. If it is the first baby, there are many “first time” experiences to be enjoyed as well as some “first time” decisions to be made. Naming a guardian is one of those. 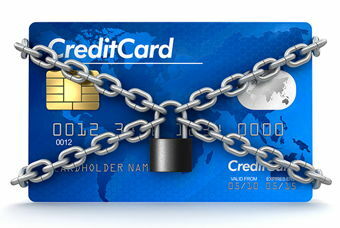 College Students: Build Your Credit! It’s that time of year! The holidays are upon us. For college students, this generally marks the end of a semester and a few weeks at home.